Geospatial in the Cultural Heritage domain, past, present and future » G.E.C.O. This one day event looking at the use of geospatial data and tools in the cultural heritage domain took place on Wednesday 7th March 2012 at Maughan Library, part of Kings College London. The full liveblog of the day can be accessed here. Images of the event are on Flickr here. An invited group of speakers explored how digitised cultural heritage content (broadly defined) can be exploited through geographical approaches and the types of tools and techniques that can be used with geo-referenced/geotagged content. The event was ‘amplified’ by social media (live blogging, tweeting) and videoed and audio recorded for subsequent download (coming soon!). If you are tweeting about the event or event materials please use the #geocult hashtag or the generic #jiscgeco project hashtag. This section will be further updated with links to presentations/recordings shortly. Images and audio recording of this talk will be available soon. The best place to find out more about OldMapsOnline is to take a look and explore their website. See also the Adaptable Suburbs project website. 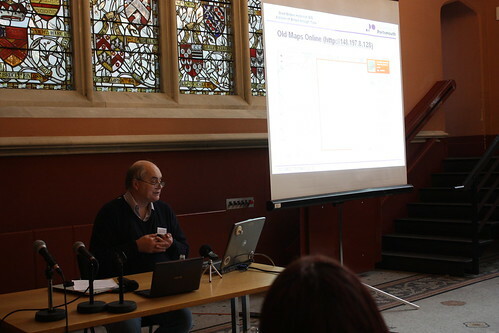 See also the Geo section – including the Historic Maps API and phone application shown in Chris’ presentation – and the Map section of the NLS website. Images and audio recording of this talk will be available soon. Rather than slides Rebekkah recommends exploring the HistoryPin site as her slides were mainly captures from here. 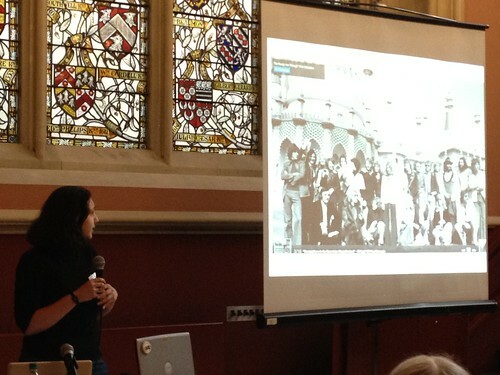 You might also find the Historypin Community, where you will find information on HistoryPin’s current work with schools, community and local groups, and the Historypin Smartphone app useful as both were discussed in Rebekkah’s talk. See also the AddressingHistory blog mentioned in Stuart’s presentation. See also the Mapping the Blitz Bomb Census Blog as mentioned in Kate’s talk. See also Nathalie’s blogpost on this work on the Wellcome Library blog. See also the DEEP project blog. You can browse through all of the discussion around this event via our Storify archive. If you comment via Twitter, your blog, etc. using the #geocult tag we’ll update the Storify to include your comments! This event was organised by the JISC GECO project with the help and support of the Centre for e-Research at Kings College London who have also provided our lovely venue for the day. We would also like to acknowledge all of the projects who have supported the development of this event, including those sending speakers or representatives along.